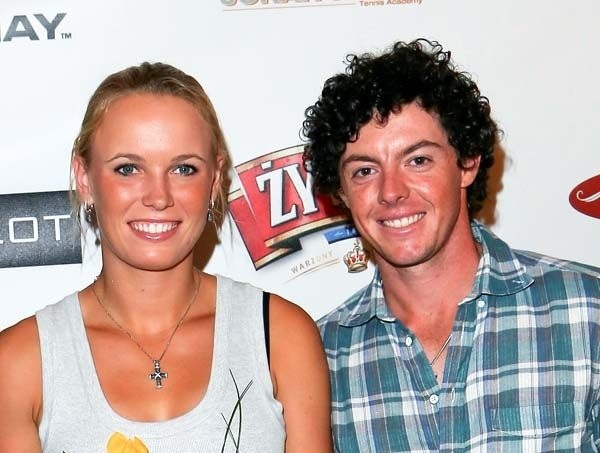 They've weathered some tough times in their professional lives these past few weeks, but Irish golf superstar Rory McIlroy and his tennis playing sweetie Caroline Wozniacki insist their romance is still going strong. McIlroy had a meltdown and walked off the course a couple of weeks ago, and Woz hasn’t won a substantial tournament in a long time, so the press decided that broken hearts might be the reason for the poor play – not to mention that they haven’t been tweeting each other nearly as much as they used to. But the couple dubbed Wozzilroy insist that their nearly two-year old relationship is still going strong. "Just because I have a bad day on the golf course and Caroline loses a match in Malaysia, it doesn't mean that we're breaking up," McIlroy said. Danish Caroline, sporting the dazzling sapphire ring Rory gifted her with at Christmas, also affirmed that all is well in paradise.